Please note the gym will be closed on Sat 1st June and Monday 3rd June for the bank holiday. Recreational Groups – Sat 22nd June – during normal class time. Both competitions will take place in Old Bawn Community School Hall as always. 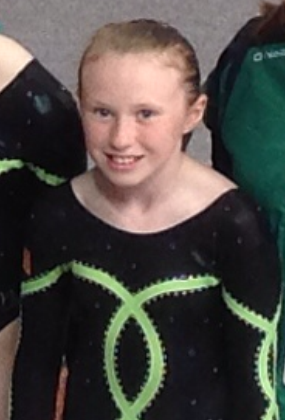 On 11th May Old Bawn gymnast Shauna Kelly travelled to the Isle of Man with the Republic of Ireland delegation to compete at this years Celtic Cup competition. The Celtic Cup is an annual event where gymnasts from Wales, Scotland, Northern Ireland, Isle of Man and Rep. of Ireland compete. Shauna competed on the uneven bars and beam for team Ireland. She had a fantastic competition and managed to achieve personal best scores on both apparatus. A great achievement and brilliant job Shauna!! Following on from the boys success a couple of weeks ago, we had 28 gymnasts compete in the Level 2-10 Teams and Apparatus competition. 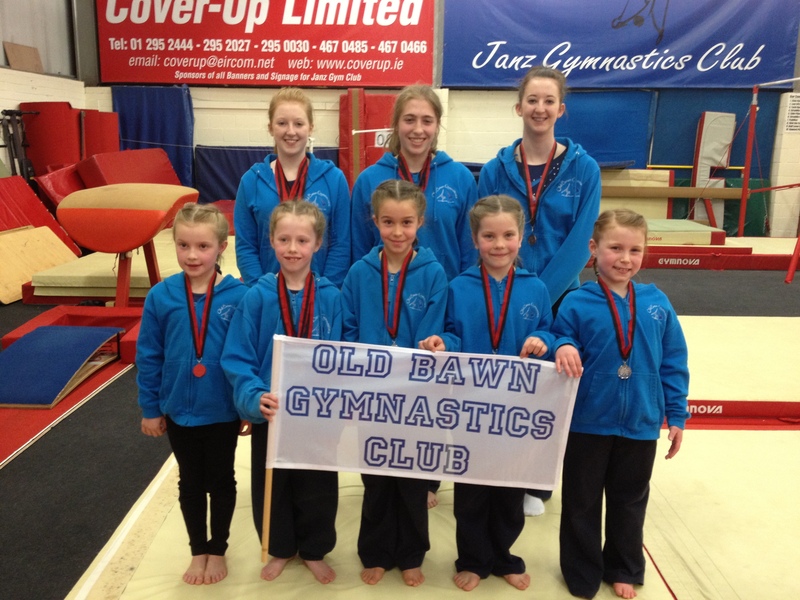 The club had a great competition and came away with plenty of medals which included 2 team gold, 2 team silver and a team bronze, along with 28 individual apparatus medals. 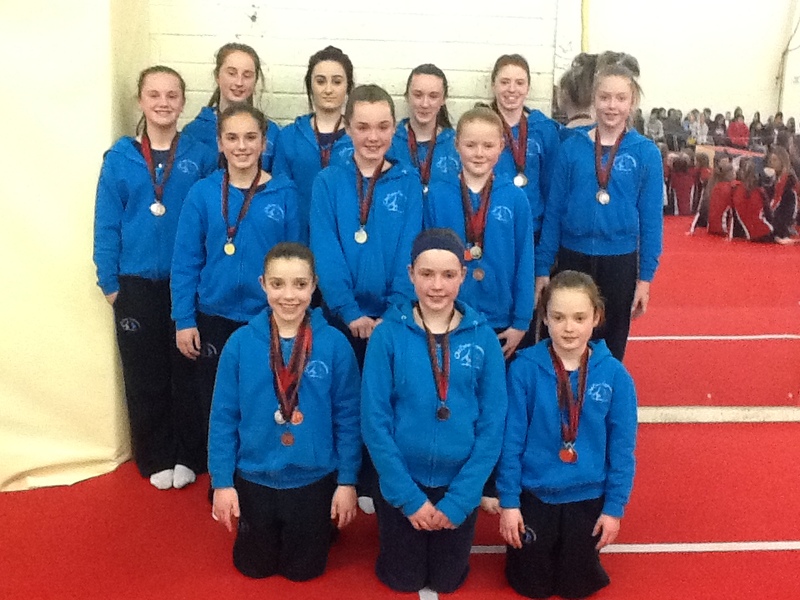 As a result 17 of our gymnasts will travel to Limerick on the 18/19th May to compete in the National finals representing South Dublin. 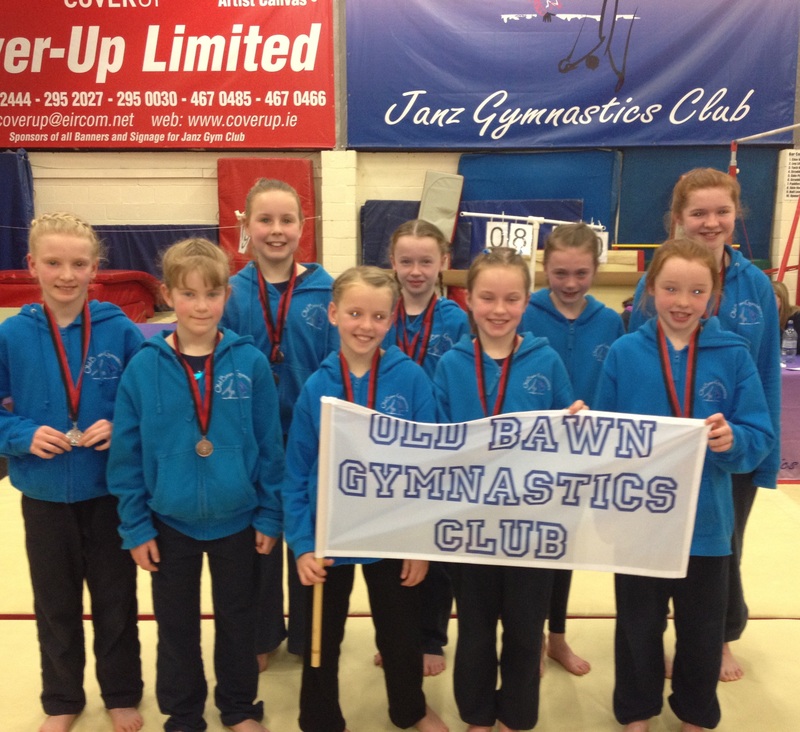 Well, were coming close to the end of competition season now and so far the Old Bawn gymnasts have done extremely well. On 20th April, 7 of our men’s squad took part in the Appenzeller Shield competition. This is a South Dublin regional competition. 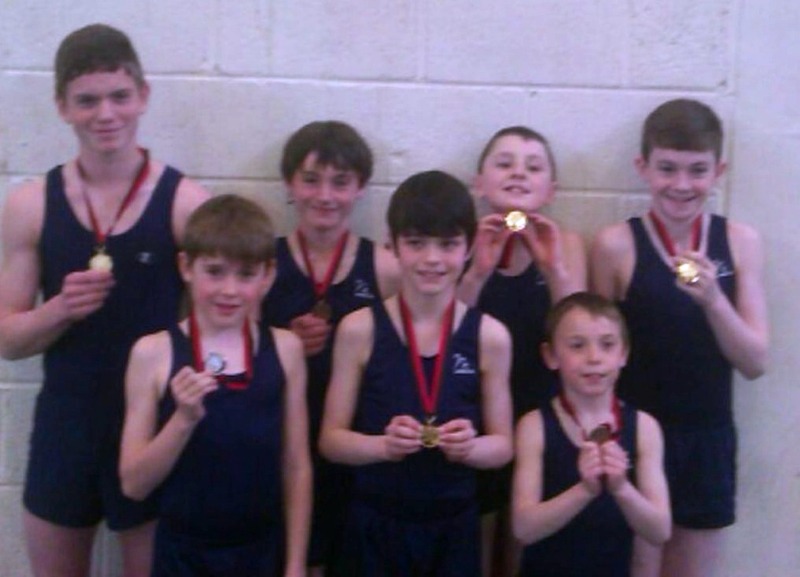 The boys performed fantastically and all of them came home with well earned medals. Sean Keane also placed 5th in the competition for the Shield which is a combination of scores across all levels and age groups. Brilliant achievemnt!